Uppsala, Sweden—November 12, 2012—IAR Systems® today launched a complete integration of JTAGjet™-Trace into the development tool suite IAR Embedded Workbench® for ARM®. Thanks to the new full integration, IAR Embedded Workbench users gain access to advanced trace support for all ARM cores and can take full advantage of the trace capabilities on ARM Cortex™-M, Cortex-R and Cortex-A devices in addition to ARM7/9/11 when debugging complex systems. JTAGjet-Trace is an in-circuit debugging probe with advanced trace features for complex application development. With support for Embedded Trace Macrocell (ETM), it provides developers with complete insight into their application’s behavior. Users can observe the effect of the program as it executes on the board and use techniques such as full instruction trace and function profiling to identify problems in the application. JTAGjet-Trace is based on the JTAG boundary scan port and can perform trace acquisition of up to 200MHz trace clock (400Msample/sec ETM trace acquisition speed) with a trace buffer capture capacity of up to 18MB. Auto-adjusting timing eliminates problems with data and clock skew, and 56-bit time stamping provides CPU cycle accuracy down to 5ns. IAR Embedded Workbench now also supports the possibility of simultaneously connecting multiple serial wire debug (SWD) devices. This considerably simplifies debugging of ARM Cortex multicore devices. By connecting to multiple cores on the same device at the same time, the complete multicore application can be concurrently debugged. IAR Embedded Workbench is a complete C/C++ development tool suite for embedded applications, including high-performing build tools and the comprehensive IAR C-SPY® Debugger. Recognizing the importance of providing simplified, seamless development workflows, IAR Systems purchased Signum Systems in 2011 and now offers a product portfolio of completely integrated in-circuit debugging probes. 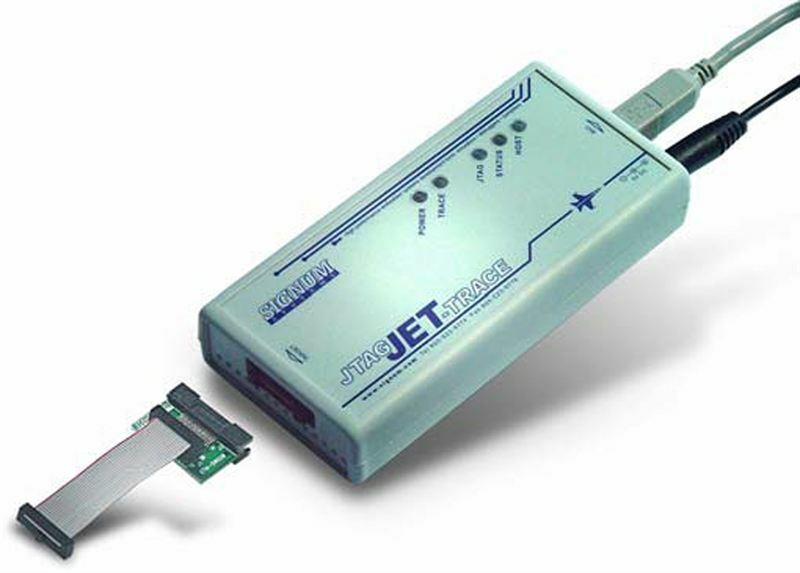 In addition to JTAGjet-Trace, the portfolio includes I-jet™, which offers full power profiling for all ARM cores. All products are delivered with access to IAR Systems’ extensive technical support. JTAGjet-Trace is available in a specific ARM Cortex-M edition, as well as a full edition with support for all ARM7, ARM9, ARM11, Cortex-M, Cortex-A8/A9 and Cortex-R4 cores equipped with ETM trace logic. For more information about IAR Systems in-circuit debugging probes, visit www.iar.com/probes. To download evaluation licenses of IAR Embedded Workbench for ARM, visit www.iar.com/ewarm.